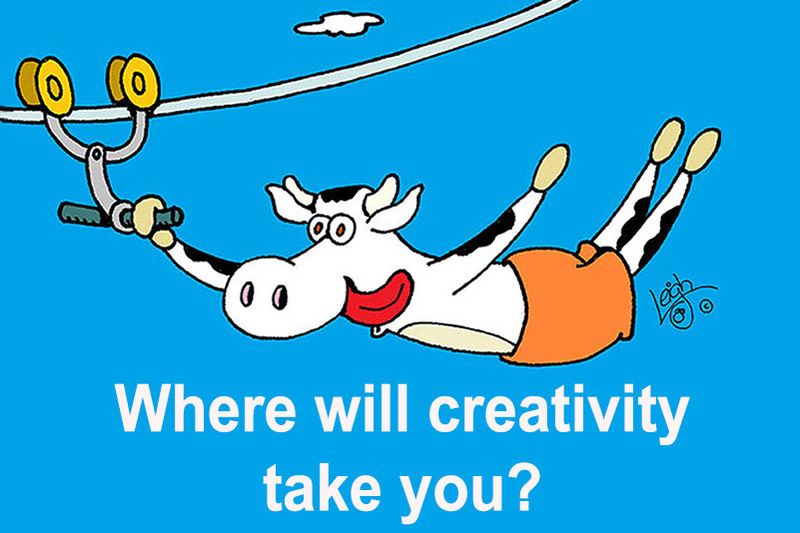 How does a syndicated cartoonist come up with creative ideas each day? Leigh Rubin, who has drawn Rubes cartoons for more than 30 years, will help explain his creative process during this year’s Imagine RIT: Creativity and Innovation Festival on April 27 on the Rochester Institute of Technology campus. All events are free and open to the public. His session, “Curiosity and Creativity: Getting Them and Keeping Them,” will be held from 11 a.m. to noon in Ingle Auditorium. He’ll be joined by Senior Lecturer Mike Johansson from RIT’s School of Communication in an open-ended discussion about where Rubin’s curiosity comes from and how that feeds into his creativity, followed by questions from the audience. Rubin, who has been named “cartoonist-in-residence” at RIT, spoke with students last fall. He’s returning next week to continue that interaction, and to unveil a Rubes-themed mural of RIT’s campus. The session is also part of a pop-up “Creativity and Curiosity” class that earns RIT students a college credit, as part of a two-week course that would also involve readings, videos, online discussions and writing a reflective paper. Johansson said Rubin’s expertise is relevant to the class. “There’s a growing movement in business that seeks employees who can exhibit the 5 C’s: critical thinking, communication, collaboration, curiosity and creativity,” Johansson said. Current RIT students interested in taking the pop-up course for a college credit may do so by April 20 by talking to their academic advisor, or calling Abby Cantwell, assistant director at RIT’s School of Individualized Study, at 585-475-7297.